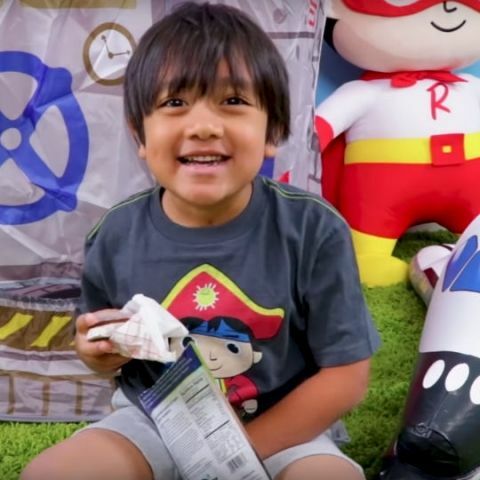 Ryan of Ryan ToysReview pipped famous YouTube personality Jake Paul by $500,000 in earning from June 2017 to June 2018. A 7-year-old kid has taken over the internet by storm, or should we say, by reviewing toys. It takes months and years for people to rake up tons of money but Ryan of Ryan ToysReview has achieved an incredible feat in just three years. Ryan has been revealed as YouTube’s highest-earning star as he has collected $22 million in one year from June 2017 to June 2018, Forbes has reported. 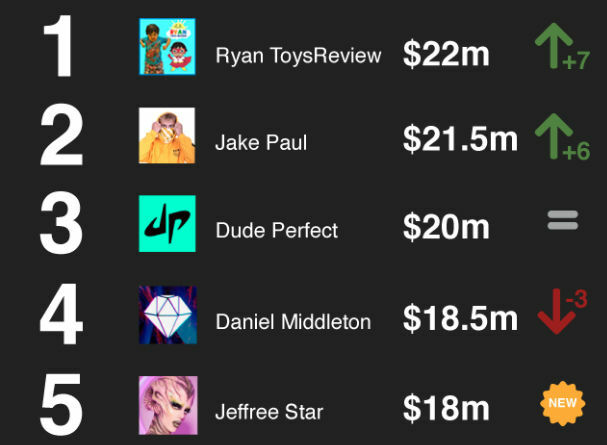 The kid grabbed the top spot beating famous YouTube personality Jake Paul, who earned $500,000 less than Ryan during the same time period. BBC has claimed that Ryan's earnings, which do not include tax or fees charged by agents or lawyers, have doubled compared with the previous year. When asked by NBC (see video below) why kids like watching his videos, Ryan said, “Because I'm entertaining and I'm funny.” Ryan’s parents set up a channel in March 2015 and in three years, the channel has 17.3 million followers and the videos have almost 26 billion views. Forbes claims that $1m of the $22m total is generated by advertising shown before videos and the rest of it comes from sponsored posts. “The amount generated by sponsored posts is small compared with other top YouTubers. It is the result not only of how few deals Ryan (or his family) chooses to accept, but also the fact that his pint-sized demographic isn't exactly all that flush,” Forbes said. The level of popularity is so much that if Ryan reviews a toy, that toy would sell out instantly. What’s more interesting is that in August this year, Walmart started selling an exclusive range of toys and clothing called Ryan's World. Soon after this, Ryan ToysReview had a video post showing Ryan and his parents searching for his own toys at a Walmart store. The video garnered 14 million views in three months. The revenues from the Walmart deal are set to substantially increase Ryan's total earnings next year, BBC reports.